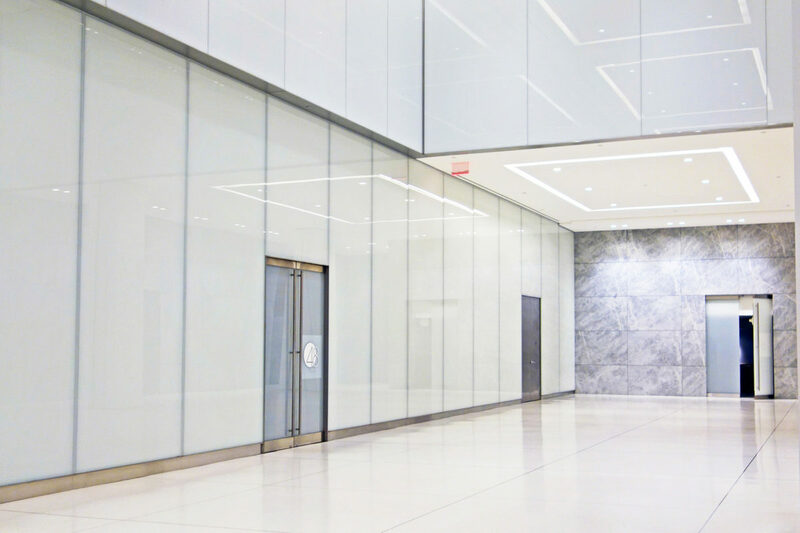 Custom oversized laminated glass shadowbox + opaque laminated white glass panels. 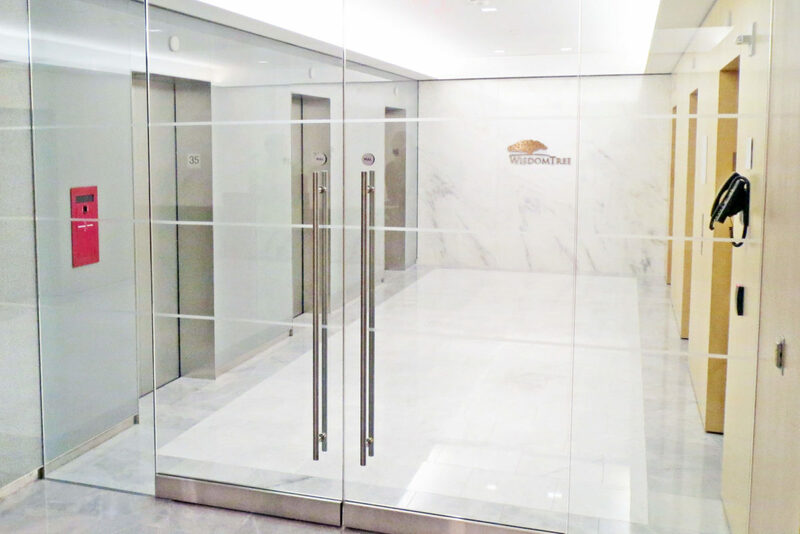 Custom stainless steel elevator portals + base + all glass entrance doors. 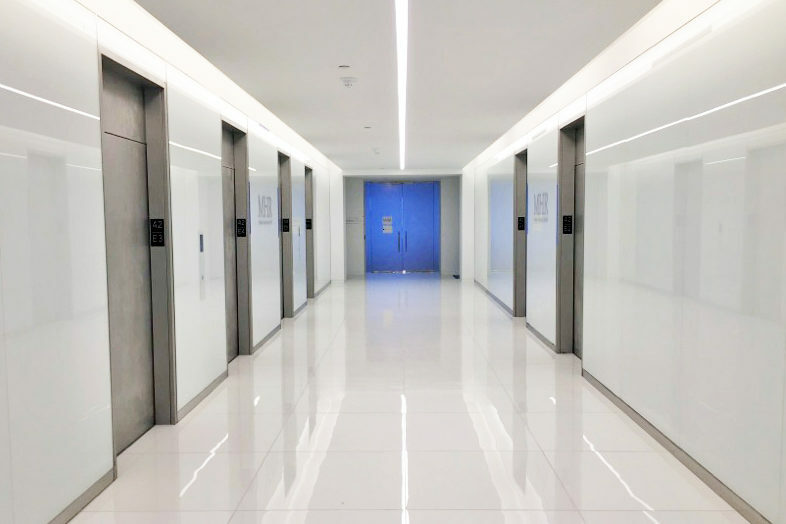 Painted aluminum elevator door portals + doors + back painted glass. 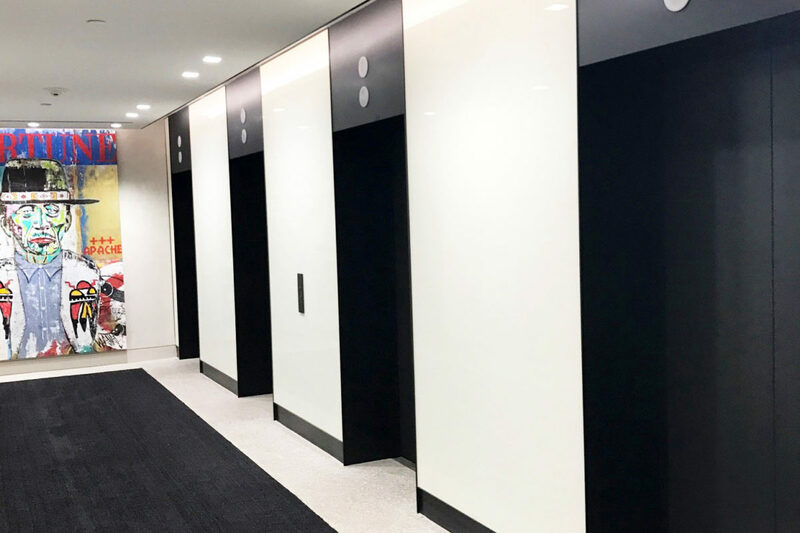 Painted stainless steel elevator door portals + doors + back painted glass. 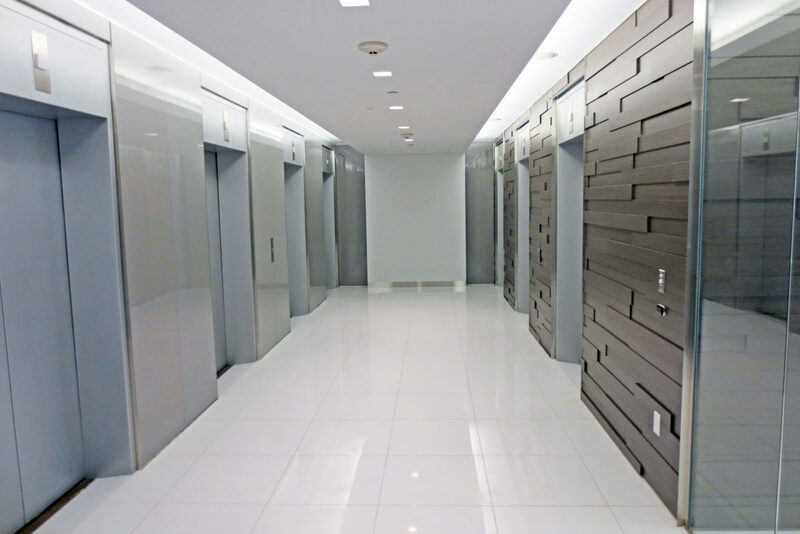 Custom blackened steel elevator doors, door portals, + base. 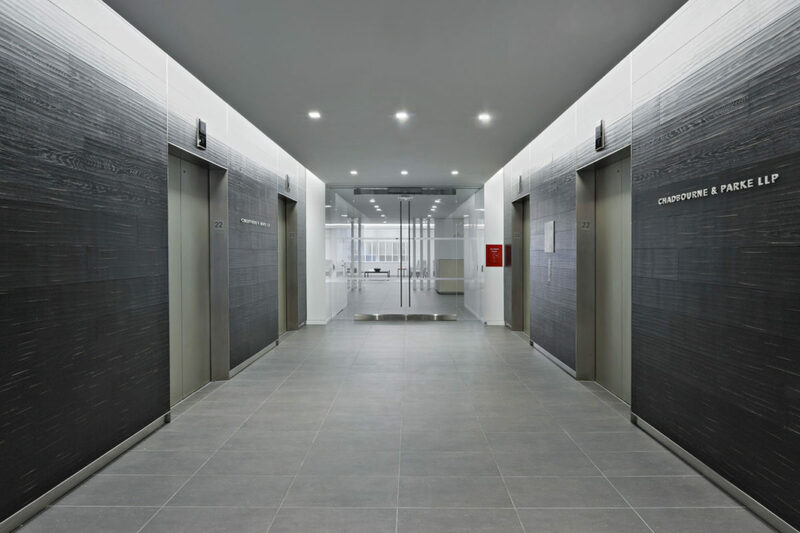 All glass entrance, stainless steel elevator door portals & doors + back painted glass.